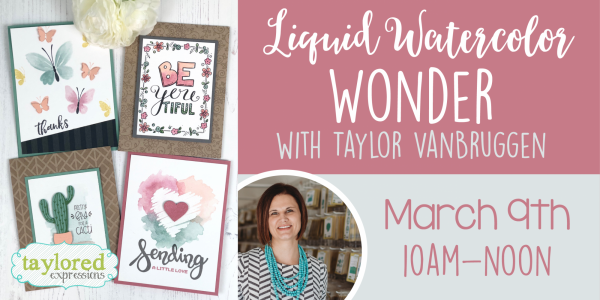 Explore the wonder of watercolor in this class with Creative Director Taylor VanBruggen. 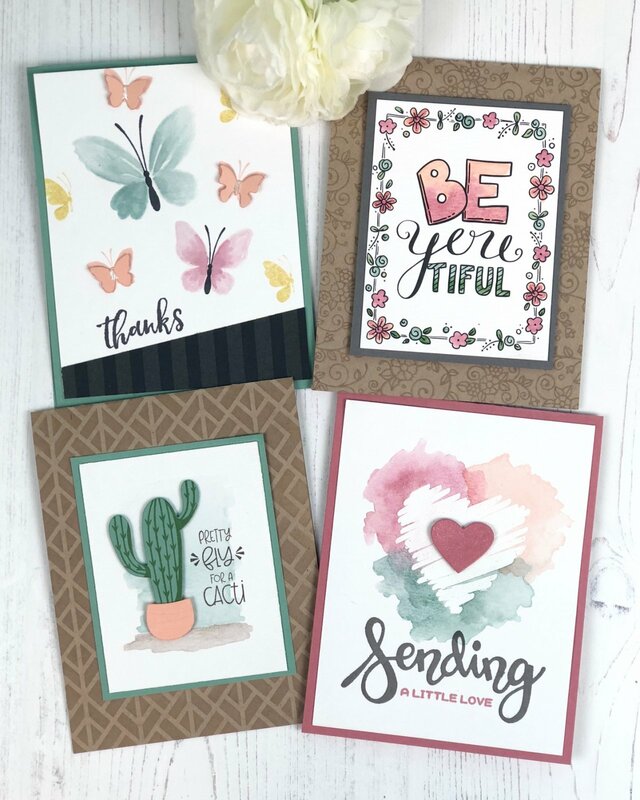 You will make four cards using Taylored Expressions liquid watercolor while exploring techniques like no-line watercolor, ombre watercolor, emboss resist, and other inspiring effects using this fun medium. Shop a trunk show from 9am-1pm, too! Please bring with you a variety of adhesive (liquid, runner, and dimensional) along with scissors and a waterbrush.